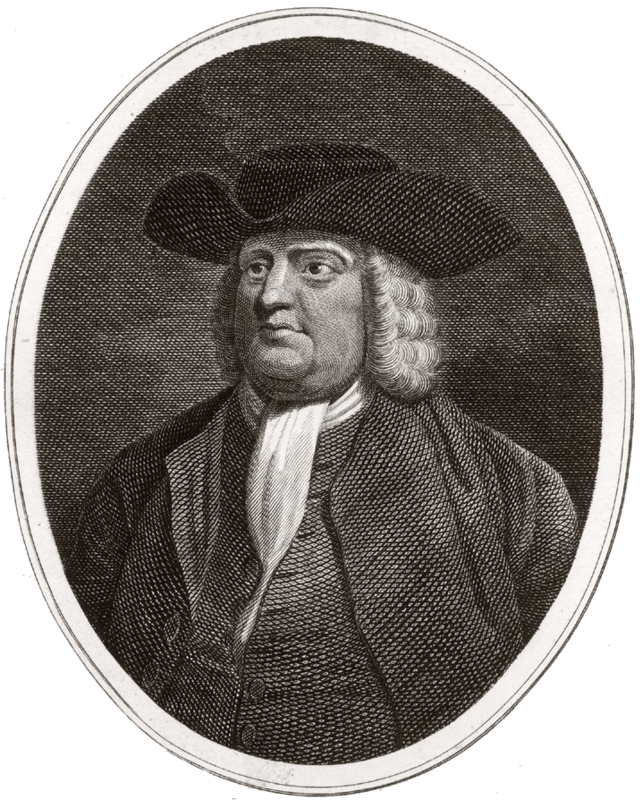 William Penn (October 14, 1644 – July 30, 1718) was an English real estate entrepreneur, philosopher, and early Quaker who founded the Province of Pennsylvania, an English North American colony which became the future Commonwealth of Pennsylvania. He was an early champion of democracy and religious freedom, noted for his good relations and successful treaties with the Native American Indians. 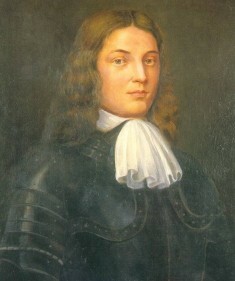 Penn was born in London in 1644, the son of Admiral William Penn and Dutchwoman Margaret Jasper, previously the widow of a Dutch captain, and the daughter of a rich merchant from Rotterdam. Admiral Penn served in the English Commonwealth Navy during the Puritan Revolution/English Civil War. He was rewarded by Oliver Cromwell and given estates in Ireland, which were seized from Irish Catholics in retaliation for the failed Irish Rebellion of 1641. Eventually falling into disfavor with Cromwell, Admiral Penn took part in the restoration of King Charles II and was eventually knighted by him. Admiral Penn also served in the Royal Navy, in charge of quelling Irish Catholic unrest and blockading Irish ports. During Penn’s youth, there were no state schools and nearly all educational institutions were affiliated with the Anglican Church. His education was in an Anglican mode — strict, humorless, and somber. Penn absorbed many Puritan behaviors, and was known later for his serious demeanor, strict behavior and lack of humor. Later, while at Oxford, he came under Puritan influences. When he refused to conform to Anglican practices, the university expelled him in 1662. After Penn’s expulsion from Oxford, and determined to thwart his son’s religiosity, Admiral Penn sent his son on a tour of the European continent and to the Protestant college at Saumur, in France. There he completed his studies and it was his father’s hope that this would keep him from further jeopardizing his family’s social status. After two years in France, Penn returned to England a “mature, well-mannered gentleman” and fell in line with his family’s expectations and joined his father at sea. He serves as an emissary between his father and King Charles. Later, he studies law. However, in 1665, his sympathies towards Quakers are reignited during the great plague that sweeps through London. He observes how Quakers are arrested by the police and demonized by other religions, even accused of causing the plague. Furthermore, the reign of King Charles further tightens restrictions against all religious sects other than the Anglican Church, making the penalty for unauthorized worship imprisonment or deportation. The “Five Mile Act” is enacted which prevents anyone who promotes an unauthorized religion from coming within five miles of any urban area, effectively banishing all dissenters into the wilderness. In 1666 Admiral Penn sent William to Ireland to manage the family estates. While there, Penn was drawn into the Quaker fold. His conversion was inspired by the simple piety of the Quakers and the need to provide relief for victims of persecution. At the age of 22, much to his father’s distress, Penn became a Quaker advocate. His marriage in 1672 to his first wife, Gulielma Maria Springett, of a well known Quaker family, completed his religious conversion and commitment. Penn’s prominence and political connections were important resources for the persecuted Quakers. A major theme of his voluminous writings was the inhumanity and futility of persecution. One remarkable achievement during this period was Penn’s handling of the “Bushell Case.” Penn managed to persuade a jury not to subject a Quaker to imprisonment only for his faith. When the magistrate demanded that the jury change its verdict, Penn maintained successfully that a jury must not be coerced by the bench. This landmark case established the freedom of English juries and was instrumental in shaping the future concept of American freedom. After becoming a Quaker, Penn would eventually be imprisoned four times for publicly stating his beliefs in word and print. He published 42 books and pamphlets in the seven years immediately following his conversion. At his trial after his first arrest, in pleading his case, Penn states that since the Quakers have no political agenda (unlike the Puritans). They should not be subject to laws that restrict political action by minority religions and other groups. This argument falls on deaf ears. However, Penn is released from jail due to his family’s status. Admiral Penn is distressed by his son’s actions and takes his conversion to Quakerism as a personal affront. Admiral Penn fears his son’s actions will once again jeopardize the family’s position in society. He tries to reason with his son but to no avail. In the end, young Penn is more determined than ever and the Admiral feels he has no option – so to protect his family’s position, Admiral Penn orders his son out of the house and withholds his inheritance. Now homeless, Penn lives with various Quaker families and becomes a close friend of George Fox, the founder of Quakerism. Penn travels frequently with Fox through Europe and England. He also writes a comprehensive, detailed explanation of Quakerism along with a testimony to the character of George Fox. Essentially, Penn becomes Quakerism’s first theologian, theorist and legal defender. While he was in Ireland, Penn attended many meetings and stayed with leading Quaker families. He became a great friend of William Morris; a leading Quaker figure in Cork, and often stayed with Morris at Castle Salem near Rosscarbery. Between 1671 and 1677 Penn made trips to Holland and Germany on behalf of the Quaker faith, resulting in a German settlement that was symbolic in two ways: it was a specifically German-speaking congregation, and it comprised of religious dissenters. To this day Pennsylvania has remained the heartland for various branches of Anabaptists: Mennonites, the Ephrata Cloister, Brethren, and Amish. Pennsylvania also became home for many Lutheran refugees from Catholic provinces such as Salzburg, as well as for German Catholics who also had been discriminated against in their home country. The contacts that he established in Holland paved the way eventually for thousands of Dutch immigrants to come to what would become Pennsylvania. Penn demonstrates no remorse in his fight against the wrongs of the State Church and the Crown. The Crown continues to confiscate Quaker property and jails thousands of Quakers. 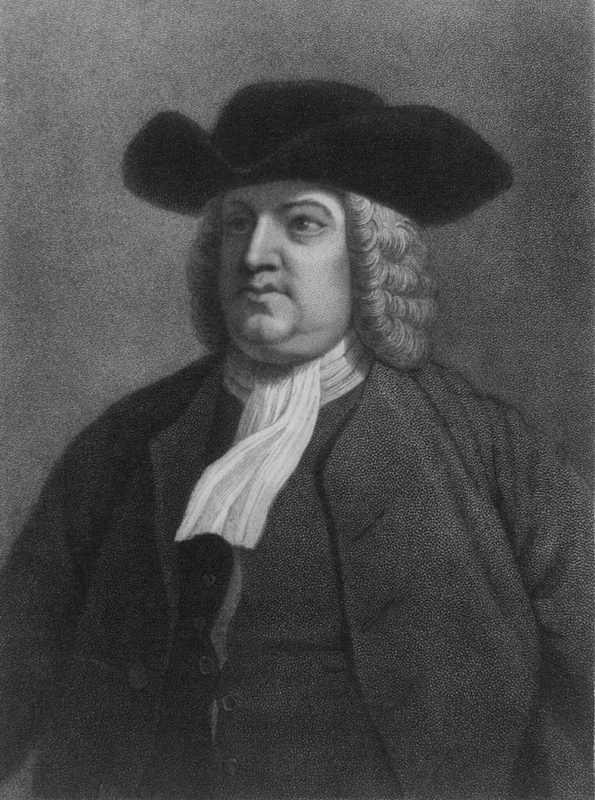 From then on, Penn’s religious views and subsequent arrests and imprisonments effectively exile him from English society. Ironically, for all of the tolerance that Penn promoted, he had a decidedly mixed record regarding slavery. There have been claims that he fought slavery, but that seems unlikely, as he owned and even traded slaves himself and his writings do not support that idea. However, he did promote good treatment for slaves, including marriage among slaves (though rejected by the new Pennsylvania Provincial Council). Other Pennsylvania Quakers were more outspoken and proactive, being among the earliest fighters against slavery in America, led by Daniel Pastorius, founder of Germantown, Pennsylvania. Many Quakers pledged to release their slaves upon their death, including Penn, and some sold their slaves to non-Quakers. 2. Dobrée, Bonamy. William Penn: Quaker and Pioneer, Houghton Mifflin Co., New York, 1932. 4. Fantel, Hans. William Penn: Apostle of Dissent, William Morrow & Co., New York, 1974. 5. Lehman, Godfrey. The Ordeal of Edward Bushell. Lexicon, 1996. 7. William Penn (1669–1670) My Irish Journal, edited by Isabel Grubb, Longmans, 1952.